Glen has received the APPA President’s Award, the Pacesetter Award, and the Meritorious Service Award. A qualified Supervisor’s Toolkit Trainer, Haubold started his career as a student at Texas Christian University changing filters and has also worked for Texas Woman’s University and the University of North Texas. Glen is the principal at GHaubold Consulting. David is the Vice President of Texas APPA (TAPPA) and a Fellow of the Society of American Military Engineers. He joined the University of North Texas following a 30-year career in the United States Air Force where he led installation support and facilities organizations across the US, Europe, and Iraq. Recovery and recharge were generally initiated as a methodology to recapture and recover costs incurred for “non-maintenance” minor remodeling in the 1980s. Today, many institutions use some method of cost recovery to finance both minor and sometimes significant construction, services to auxiliaries, research, and athletics, and for funding the facilities planning, design, and construction unit. As institutional physical plant departments evolved into professional management organizations, full recovery of administrative costs allows many universities to provide non-maintenance services without tapping into the maintenance and operation budget. It was not all that far back in time that an institutional physical plant simply took care of every facility need on campus. Similarly, football fans will remember when the larger public institutions subsidized the gridiron teams with virtually unlimited scholarships. During the 1970s, to address concerns about what appeared to be uncontrolled institutional spending, the legislatures and governing bodies in nearly every state began enacting statutes, accounting rules, and guidelines that essentially dictated that tax dollars could only be used for public education. For a public institution, this meant that subsidies to auxiliaries such as student unions, residence halls, and athletics were eliminated. Although not required to do the same, many private institutions followed suit and mandated that their auxiliaries operate on a self-supporting basis. For the historians of the evolution of today’s modern facility management organization, this was also the genesis of separate maintenance departments for auxiliaries and athletics at many institutions, who subsequently successfully made the argument that their units should manage their facility maintenance since funding was now their responsibility. Institutions use differing terminology when discussing the budgetary mechanism that replaces or recharges operating budget funds for non-maintenance and operation work. Definitions are necessary to have a standard set of terms. Funds for activities that furnish a service to students, faculty, or staff for which charges are made that are directly related to the cost of the service. Auxiliary enterprises are managed as essentially self-supporting activities. Examples are residence halls, food services, student health services, intercollegiate athletics, college stores, and college unions. Reimbursement via interdepartmental transfer, or other financial transaction from non-facilities departments to the facilities organization. The term IDT (InterDepartmental Transfer) is also used interchangeably with chargeback. A direct cost is one that can be fully attributed to delivering a service; examples would include the direct labor hourly rate and project-specific material costs. Net-assignable area used for academic instruction, research, and support of the institution's mission that does not include auxiliary enterprise space, space that is permanently unassigned, or space used for operations independent of the institution’s mission. User requested services for non-maintenance items, including anything from a new outlet to additional shelving to a remodel project. Indirect costs are those expenses that cannot be completely assigned to delivering a service; examples would be supervision and administrative costs. For this discussion, indirect costs are administrative and supervisory charges within the Facilities unit. While there may not be a clear accounting differentiation between other and indirect costs, for this discussion, other costs refer to those expenses that are external to the facilities unit. For example, many facilities departments have an internal human resources unit while others do not. Some institutions have cost share assessments such that the departments are assessed a prorated share of central services. Any budgetary mechanism used by the institution to replenish or fully fund a facilities operation. The term IDT (InterDepartmental Transfer) is also used interchangeably with recharge and recovery. Decentralized financial management model that aligns fiscal accountability with the natural decentralization of authority. 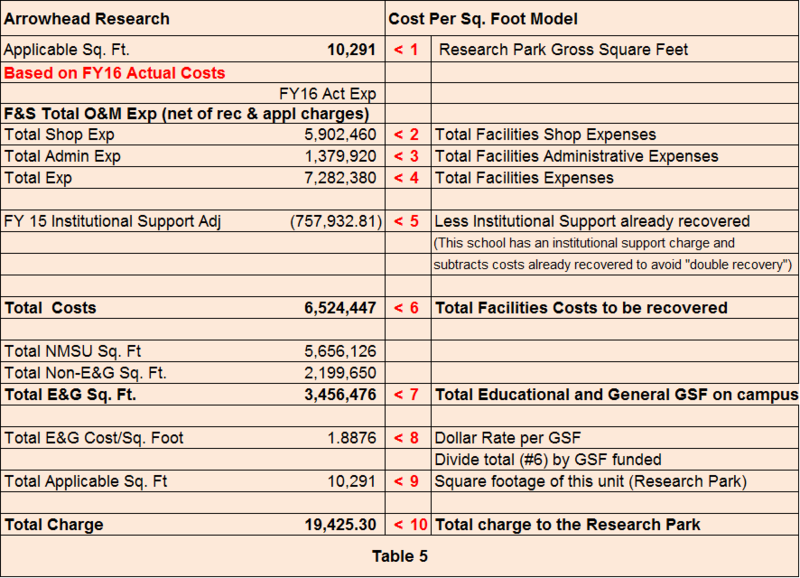 Reimbursement hourly rate for facilities cost of providing departmental services. Departmental services are those for which the facilities unit does not receive a budget allocation and therefore must be funded by the requesting department. Shop rates are based on the actual average pay and benefits of the Facilities employees performing the work. Rates may include the cost of labor, fringe benefits, and a charge for consumable supplies such as nails, bolts, and hand tools that cannot be easily charged to individual work orders. 3. A lack of institutional clarity as to the process and how it should function. 4. All respondents provided some comments on their financial systems. In this research project survey with 86 institutions responding, nearly 78% had some form of chargeback. Examples included maintenance or repair work done for athletics, research, residence or dining organizations, and transportation and parking. Similarly, many universities have a fee-based structure to support construction on campus with construction teams charging a fee to help offset construction staff and equipment expenditures. How these chargebacks are defined and managed varies widely across universities. Forty-five percent of the respondent institutions did not focus their recharge or chargebacks only on elective work. For example, many institutions bill departments for preventative maintenance on departmental equipment such as autoclaves. Recharge and recovery had its origins in the protection of maintenance and operation funding. One early model at an institution was to require the customer to pay for wire mold when an outlet was relocated if more than one 10-foot section was needed. Most institutions today use some mechanism to charge campus users for elective work although it must be pointed out that some institutions do not. This arrangement varies widely. At some institutions, Auxiliaries such as Residential Life and the Student Union may have separate maintenance staff, and at some schools, Athletics manages their own personnel as well. At some universities, Auxiliaries outsources maintenance and construction separately. License requirements and union agreements dictate the operating policies of many institutions. One common arrangement is for Residential Life and Athletics to have general maintenance staff and then purchase skilled labor from the facilities organization as needed. This can be accomplished using any of the methodologies. Most institutions and many university systems have offices dedicated explicitly to capital construction. Generally, the rationale is two-fold: (1) construction and large-scale renovations are not considered operation and maintenance and thus are not funded and (2) many state legislatures take the position that staff who are already paid by state appropriations cannot also charge salaries against capital improvement funds. As a result, in many instances, the planning, design, and construction units are funded solely as a percent of project costs. A few schools do not recharge for what most would consider non-maintenance work. One respondent to the initial email anonymously said that he nearly lost his position for bringing this budgetary challenge to the attention of management, because outsourcing was a hot button with their bargaining unit. Some universities do not perform any non-maintenance work, choosing instead to contract out, while others will complete minor construction as “fill-in work” as time is available. Most schools do have a chargeback mechanism, and these are some of the more common. One school will accept non-maintenance work only on an overtime basis. The school does not have a labor rate, just a direct cost, and the in-house staff will only perform non-maintenance work after hours. Considering that the rule of thumb identified by Guckert and King for a fully loaded rate was twice the regular hourly rate, if one considers overtime at one and one-half times the regular hourly rate, this method might be a “win-win” situation for employees as well as customers. However, it must be noted that in this case, the institution is ignoring overhead expenses during the standard workweek to plan, organize, and process the recharge work. Some institutions find it easier to just outsource all non-maintenance work. This approach certainly protects the maintenance function and budget, although the costs possibly are higher for non-maintenance work. The term “most likely” is used, because when all time and costs are fully allocated, the facilities unit is not always the lowest cost when compared to outside providers. This complete separation may be the only way to allocate the actual costs of elective improvements accurately. Another approach is to only charge for materials when performing non-maintenance work. This methodology leads to challenges in deciding what work is executed and does little to protect the maintenance hours. On the other hand, this methodology is certainly customer-centric, as the requesting unit receives “free labor.” Also, charging only for materials can be a workaround in those states that prohibit state-funded employees from charging labor against bond issuances or other appropriations under the logic that the employees are already being paid. This approach assumes merely that the overhead already exists and that the additional positions funded through recharge are layered on top of the existing organizational costs for overhead. The rate would then be calculated using direct hourly labor costs, materials, and perhaps fringe, but not overhead. This would “leave some money on the table” during good times but protect overhead during periods of retrenchment. Most notably, converting to this methodology from a fully allocated recharge model would require additional institutional funds. It became apparent that a number of facilities units simply treat recharge as “icing on the cake.” The rates are developed without an hourly target, sometimes by comparing internal rates to the wage rates of local contractors. The volume of recharge is relatively small, and chargebacks are used in a positive manner, i.e., departments receive the benefit of the lower cost of labor, employees get a break from the monotony of maintenance, and the facilities department supplements the budget. Rates should still be calculated in a consistent and systematic way, but there are advantages in simplicity to this model. It should be noted, however, that the percentage of the facilities budget that is funded “centrally” would need to be higher when compared to the fully allocated cost model. An alternate model for the accomplishment of enhancement work is used by at least one of the United States military services. In the Air Force, improvements are prioritized and funded from central budgets with input coming from the customers and the administration in what is termed a “Work Request Review Panel” or for larger projects, a “Facilities Board.” The prioritization process considers not only the institution’s annual enhancement funds but also facilities staff availability and capacity so that predictability can be added to the work execution. By providing a disciplined, holistic approach, the process attempts to ensure that asset management principles are applied to the decision-making progress. As one former military engineer states, “the last dollar goes to the highest and best use.” The tradeoff argument is that academic units do not directly control their facility enhancement desires. Some have touted Responsibility Centered Management or RCM as an answer. With this model, enhancement funds are managed by the individual academic units who then decide on the elective improvements. Some argue that RCM puts the customer in charge of their facility needs and that the department should know best. However, one can offer a counter-argument that the typical academic or even auxiliary or athletic customer may not take a balanced approach to their facility needs, and spending controlled by units other than facilities management may not serve the best interest of the greater university community with funding diverted to academic salaries and cosmetic improvements in lieu of facility stewardship. College and university enrollments are, in aggregate, either stable or declining. In light of the building boom of recent years, many campuses now have more space to maintain and fewer students to fill it. The changes in enrollment vary by type of institution, with both comprehensive universities and small institutions experiencing a leveling or even decline in enrollment. Research institutions, however, continue to increase enrollment, and at a pace that exceeds the available space. Colleges and universities in certain geographic areas, like Texas, are likewise seeing a growth in student enrollment and need additional space to accommodate the required academic programs and student services. Adjustments for surpluses or deficits should be treated as operational overhead in the rate calculation. When institutional policy permits a balance to be carried forward, or divides a loss over several years, this can have an impact on the rates. It is important to recognize that, in a break-even environment, overages can reduce future rates, and losses can drive up future rates. The shop rates are calculated based upon available full-time equivalent (FTE) hours divided by the total direct and indirect costs of the unit. However, the response to budget challenges in higher education is in many cases is a “hiring freeze” or “waiver process.” As this was being written, the state of Texas was operating under a hiring freeze, and New Mexico State University had a waiver process in place that lengthened the hiring process significantly. When budgets are constructed around a labor rate with a definite number of FTEs, an inability to hire replacement personnel promptly will almost by definition generate a budget deficit that can only be offset by seeking larger amounts of recharge and chargebacks in subsequent years. While it is true that an amount for vacancies can and should be “built into the rate,” it must be noted that doing so will increase the overall hourly rate and the impact may not be well understood by the business office in either the facilities unit or at the university level. A variation of this structure is one where a cost per gross square foot is calculated to allow auxiliary units to be treated as Education and General space for maintenance billing purposes. Also, note that where institutional policy allows a balance or deficit to be carried forward, a deficit will drive the rate up. In the same manner, additional funds can be added to the Facilities budget simply by increasing the rate and working more hours of recharge. The fully loaded cost model works well in times of stable or level budgets, but much less so when revenue is a large percentage of an overall budget that is shrinking, particularly if an increase in administrative staff was funded through recharge. One approach to control this mismatch would be to reduce staff to lower the recovery burden, but in many cases, staff for compliance and other oversight activities have been added through the rate process to address many unfunded mandates. Consequently, it is not merely a matter of reducing staff that are compensated as direct labor, but also one of reducing employees that contribute to overhead. There are many advantages to this method, however. The fully allocated cost model allows for fully or almost fully recapturing of the costs of providing services that are “above and beyond” the maintenance and operation funding, and as Guckert and King point out, this protects against the erosion of the maintenance budget. In addition, because the construction and small remodel workload varies, some institutions hedge against those fluctuations in construction by staffing to and targeting the “baseline” demand (versus the average or peak), and then relying on outsourced options or scheduling practices over seasonal demand cycles to manage the IDT target. These are three of the common rate methodologies using full cost recovery. It is important to recognize that your institution may not want a recharge rate that covers all costs. The ultimate goal of any in-house construction organization is to provide acceptable small construction projects at the lowest possible total cost. Determining what the rate would be for full cost recovery allows your institution to make decisions about certain elements that can influence the ability of the recharge organization to cover its targeted expenses. Generalizing from our Spring 2003 survey data, most of the responding institutions appeared to be subsidizing their inhouse construction rates in some way. This can occur by direct or indirect subsidization. Direct subsidization would include administrative or office salaries and wages, or benefit costs that are paid out of a central funding pool. Indirect subsidization occurs when organizations recharge services without recouping the cost of supervision, administrative support, vehicles, equipment, tools, training and other overhead expenses related to those services. The first step in the development of a rate with full cost recovery is the determination of billable hours. Billable hours are simply the available hours per employee. Average holidays, sick leave and annual leave are fairly easily calculated. This calculation is illustrated in Table 1. Note the percentage productivity is somewhat low. This university labels shop time and includes meetings, shop cleanup, training, and other non-productive time. It is critical to note that if the department has a recovery target, billable hours can never be fully achieved unless there is no turnover. Missing a recovery target would result in under-recovery, or a deficit, while working more billable hours than target would create a surplus. For an institution that allows for balances to be carried forward, overages would result in lower rates the following year and losses would drive up future rates. Full cost recovery would include all overhead elements, including office and administrative staff, management salaries, training, supplies, personal protective equipment (PPE), vehicles maintenance and insurance, depreciation, institutional support and any other expense of doing business. Note that in this example, the overhead cost of supervisors, managers, and leadership is divided by the total hours available for facilities so that this hourly cost can be added to each individual shop. Once the hourly costs for the unit are calculated, it is then a matter of totaling the components. A good rule of thumb is that the hourly loaded rate will be approximately twice that of the direct cost or hourly salary. Note that this is the case here. This department goes by many names, although Facilities Planning, Design, and Construction (FPDC) is used here for ease of reference since this is common at many institutions. These rates present a somewhat different challenge since many large projects span three to four years. Some universities will have two or more rates; one for the larger projects that benefit from economies of scale and another for the smaller renovations that require significant amounts of customer interface. That is the case in this example. Some universities have multiple rates and methodologies that differ depending upon whether outside design professionals are used. Table 4 illustrates a common mechanism for developing a rate for the Facilities Planning, Design, and Construction group. Note that the accuracy of this method is dependent upon the projection of the number and size of future projects and the ability to roll the deficit or surplus forward. This type of rate can be employed to bill Auxiliary, Athletics, Research, and other non-educational units for routine maintenance that would be covered if the unit were an educational unit. One of the issues with rates and billing may be illustrated by the many schools that charge Auxiliaries and others for routine maintenance by the hour. When this common methodology is employed, an HVAC technician may be dispatched for a temperature complaint and charges the hourly rate. If a new problem requires a second trip, then an additional charge may be made for the subsequent trip. This second charge can often lead to conflict, as the user may believe that the facilities unit is trying to earn additional recovery or perhaps failed to correct the problem the first time. A model that addresses this and still provides for full cost recovery is the “Cost per Gross Square Foot Model.” This model allows for the Auxiliary, Athletic, or Research entity to be treated as Educational and General Square Footage. The downside to this model is that it assumes that the cost per square foot will be the same for all square footage, and this may or may not be the case. Charges should be tracked and periodically analyzed for equity. The upside is the simplicity; by treating the unit as an educational entity, routine services are provided in the same manner as they would be if the department was an Educational and General unit. A widespread model is “full cost recovery.” Alternative models such as incremental cost recovery or “materials only” mechanisms can provide for easier adjustment to campus budgetary swings than a fully allocated model, but for most institutions, this would require either a reduction in staff, increases in facilities budgets, or both. Regardless, there is no standard approach. There is an immense benefit to keeping the amount of recharge small as a percentage of the overall operating budget, because the primary business is, after all, maintenance and operation. If chargebacks must be large to meet budget, as is the case at many research institutions, sophisticated systems must be set in place to provide oversight and management. Charges made against federal research grants should be through rates developed in accordance with Office of Management and Budget guidance documents. Keeping current with changes to the Uniform Guidance is critical, particularly to those institutions that support research through small remodels. The cost model employed and whether or not to subsidize should be a conscious and informed decision by the chief financial officer and chief facilities officer, and extreme care must be taken to monitor and adjust the burden placed on the facilities budget to avoid neglecting the maintenance and other core functions. Conversations with higher education facilities leaders and comments gathered from the Haubold and Reynolds research project survey indicated concerns from their customers with chargebacks. These range from the facility manager’s favorite, “Why do you charge so much?” to “Why do you have to charge me, we both work for the same organization?” The central theme is a lack of understanding across many institutions of why chargebacks exist and the even greater inability of the facility manager to explain chargebacks in a way that a customer can understand. In addition, in the APPA survey associated with this research project reinforces that chargebacks can be challenging; respondents stated that 75% had experienced negative impacts with their chargeback system, and 75% also said they had seen positive impacts! It is critical to explain this process thoroughly and clearly to the institutional users. We set up our processes and policies in accordance with A-110 to be compliant with A-21 so that we don't end up in trouble with A-133. The prior guidance circulars were consolidated into the Office of Management and Budget Uniform Guidance document in 2013, but the rate-setting process should be a formal, defined process, especially when billable work is performed against federal research grants. Not recapture costs twice, i.e., a cost already captured in the F&A rate should not again be captured in the hourly rate. The facilities organization must be staffed, trained, and equipped to manage chargebacks. Inadequate salaries for facilities business support staff may be a first indicator that chargeback financial management may be a challenge. A second and quick indicator that may be used to test an organization would be to ask if the institution has current shop rates and if so, how long it has been since the rates were reviewed and updated. Shop rates must be current for the institution to be prepared for chargebacks. One institution uses the newspaper “help wanted” section to establish rates, which may not be defensible if challenged. Further, if the university budget office cannot help define (or can no longer remember) where annual income generation targets came from or how these were calculated, your institution may not be properly managing chargebacks. In this research survey, of the 38 universities that use IDTs (InterDepartmenTal charge), half indicated that greater than 10% of their budget depended upon an IDT program. Based upon nearly 58% of respondents indicating that neither is the basis for their IDT budget goal, there appears to be some confusion about IDT goals for chargebacks. Written comments to this question demonstrated that institutions used a blended approach or answers were provided that indicate earning IDT revenue is a challenge based upon staffing and workload. Some facilities managers have found that the organization lacks sufficient staff to accomplish both maintenance tasks and perform enhancement work. Staffing levels are especially challenging when the same budget cuts that removed enhancement funding from the facilities and departmental budgets also reduced personnel. Further exacerbating the situation can be “chargeback” budget targets that facilities managers must earn to balance their budgets. For instance, some universities establish annual monetary goals for the facilities team to reach to “break even” on their budget. Shop staffing may be another indicator of challenges with chargebacks. If chargeback work cannot be accomplished without impacting preventive maintenance and timely responses to urgent work, there may be issues to address. In the grand scheme, chargebacks are often used to pay for staff. If staff numbers are constrained, this may result in a long-term drain on the condition of facilities when staff cannot perform preventive maintenance. This seeking of chargebacks may be considered a hidden tax on the university’s capital: its facilities. Many of the institute’s attendees have been surprised to discover that, despite having a recharge system in place, they are indirectly subsidizing in-house construction efforts with their maintenance and operations budgets by not capturing all of the costs associated with providing the services. An unexpected tax burden from chargebacks may exist many reasons. The examples the co-authors have seen first-hand include work prioritization and interdepartmental budget transfer targets that are not in synch with staffing. Insufficient facilities staff to earn IDT goals and meet basic work requirements such as preventative maintenance (PM) and repairs is a strong indicator of a tax on infrastructure and facilities. In terms of man-hours, something has to be sacrificed (“taxed”) to support the model and with insufficient staffing for requirements, infrastructure will pay the price. Work prioritization can be skewed with an enhancement program driven by customer funding, instead of central management prioritization. For instance, if the maintenance staff has limited manpower to accomplish PM’s and repairs and a customer-funded enhancement project takes priority when an academic unit has funds, other areas may suffer. It can be argued that this scenario can lead to degradation of infrastructure and facilities in historically underfunded departments or those with lower external donor levels. Institutional leadership may need to decide if it will allow donations to drive where and when university improvements take place or if the administration will review requirements and place work where it is of maximum benefit to the university. Interdepartmental transfers (IDTs) have been taking place for decades as alluded to in the Guckert and King article. Turnover in facilities staff and adjustments to budgets over the years can lead to misunderstanding of the original guidance behind recharge and recovery. In chasing recharge, an organization without a strong understanding of the requirement and a robust accounting system can find itself creating vast amounts of work for its budget and accounting staff. Accounting systems tracking unnecessary chargebacks can place a burden on the business office staff. This is especially significant if such personnel are not well trained or prepared for such financial tracking. Significant training is necessary to ensure recovery is managed properly. The bottom line at many universities is that budgets drive the chargeback system. At one institution, years of budget cuts in the early 2000’s led to a move away from centralized funding for enhancements and a move to academic department funding for such work. Over time, this led to challenges with staffing and budgets. Chargebacks should not be the answer to budget cuts. While they are often an appealing option from a first-blush financial view, other models exist that may work, although none are without challenges. NACUBO, the National Association of College and University Business Officers, offers training sessions for learning how to calculate rates to remain in compliance with OMB (Office of Management and Budget) Uniform Guidance. Personal experience and anecdotal information tell us that, all too often, the rates for non-billable work are set using local labor rates or some other informal process, and then used to bill small remodels, occasionally indiscriminately. With 78% of 86 institutions surveyed reporting a recharge system, pitfalls loom for facility organizations exercising recharge if proper planning and processes are not in place and institutions may be exposed to unintended consequences of decentralized funding if senior administrators are not aware of the challenges. The lack of a common lexicon, familiar to facilities professionals as well as financial administrators, deans, and presidents may lead to unintended results. In addition, there is still a wide disparity in the use of recharge that creates challenges for facilities officers and university business managers who may lack a true understanding of the mechanism. Without a methodology to normalize the data, different calculations skew the comparisons in the APPA FPI. The authors concluded the information gathering for their research at the 2017 APPA / PCAPPA / BayAPPA Annual Conference in San Francisco by having conversations with Mike Johnson, associate vice president for facilities at the University of Arkansas, and Matt Adams, president of FM2. They talked about the reorganization of the University of Arkansas Facilities Department that began in 2000, and that one of the drivers was a dependence on recharge to the detriment of maintenance. What made this conversation noteworthy was that their analysis included full details and a comprehensive understanding of all issues; their conclusion illustrated the dichotomy of the solutions available to being excessively dependent on recharge. As a result of their study, the University of Arkansas moved to Zone Maintenance to separate the maintenance function from the construction personnel, while at the same time recalculating rates upwards to fully allocate costs. It should be noted that increasing rates allow for additional costs to be recaptured and/or the number of hours devoted to the task to be reduced. In other words, an over-reliance on recharge hours can be remedied by adding institutional funding to the budget or by simply charging more. Labor rates must be well understood and managed as a component of the overall facilities budget; the decision as to which of the multiple models available for use should be an informed decision at the university leadership level based upon the viability of the methodology over many years; and, to have a meaningful conversation requires a common dictionary of terms. Donald J. Guckert and Jeri Ripley King, The Charge of the Rate Brigade: A Rate Template for In-House Construction Labor, Facilities Manager, (July/August 2004). [3 Glen Haubold and David Reynolds, Issues with Recovery and Recharge in Higher Education, Center for Facilities Research (CFaR), https://www.appa.org/research/cfar/documents/Reynolds_Haubold_CFaR033_15_Recharge_and_Recovery_Final_Submitted.pdf, 2017. Sightlines, The State of Facilities in Higher Education: 2016 Benchmarks, Best Practices, & Trends, www.sightlines.com/insight/state-of-facilities-2016/, (2016). Guckert and King, The Charge of the Rate Brigade: A Rate Template for In-House Construction Labor. NMSU Sponsored Projects website, spa.nmsu.edu, (2017). Draper and Associates, University of Arkansas - Physical Plant Operations Reorganization/Reengineering, draperandassociates.com/engagements/uark_reeng.html, (2000).